DIY Birthday Party Theme: Confetti! 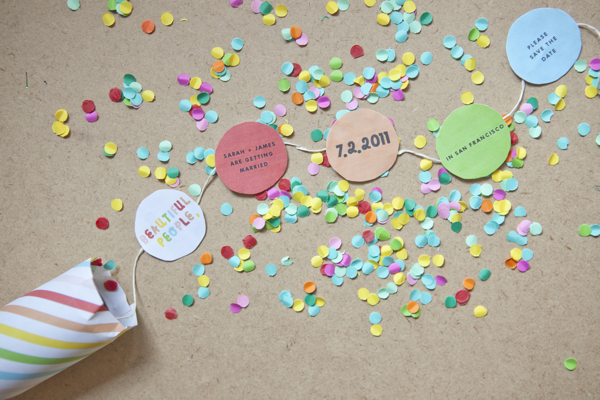 These DIY party popper invitations will definitely get your guests excited for your party! Visit the wonderful Oh Happy Day! for a full tutorial. 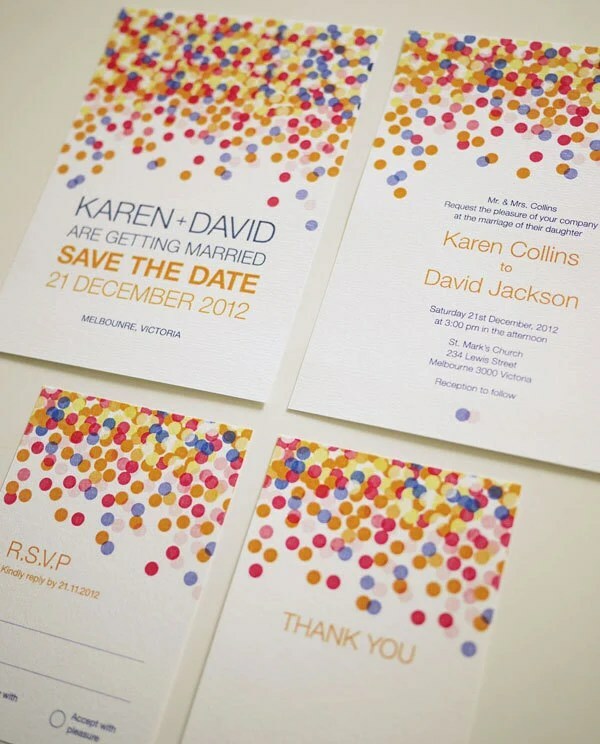 This is a wedding invitation but with brighter colors I think it would work for a child’s birthday party as well. Another wedding invitation but wouldn’t it work perfectly for a birthday party too? Rice paper globe lamps look just like giant confetti! A perfect way to decorate for your confetti-themed birthday party. 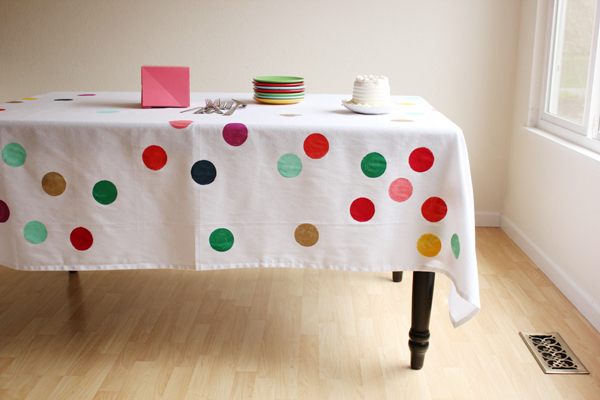 Love this DIY confetti table cloth by Oh Happy Day! 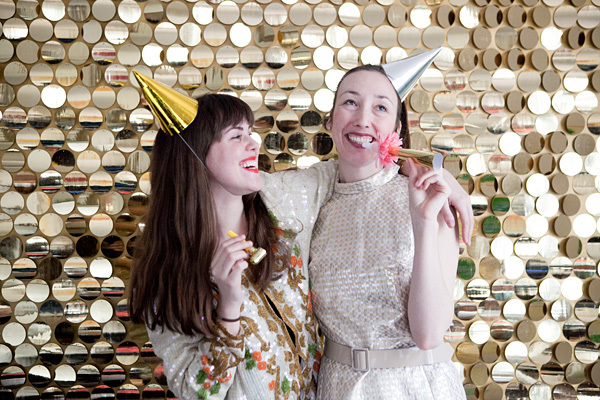 Make a glittery confetti photo booth backdrop using shiny paper. 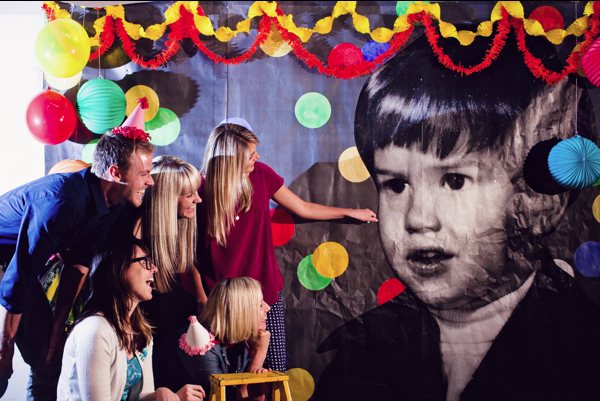 Another great photo booth idea by Oh Happy Day! This one is absolutely perfect for a birthday party! What child wouldn’t want to see themselves in a larger than life version with giant confetti added? I love bunting on a birthday cake. This cake is so so fantastic-looking! These are just beautiful! Funfetti cake balls! 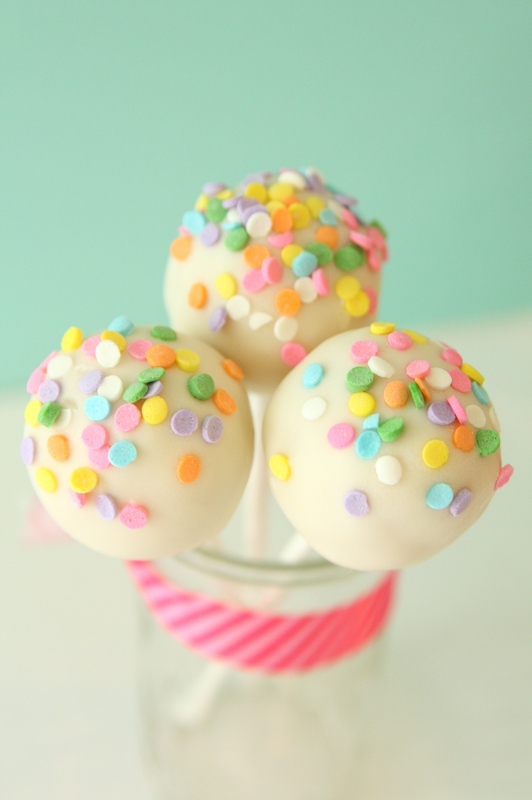 Confetti cake pops! So pretty! 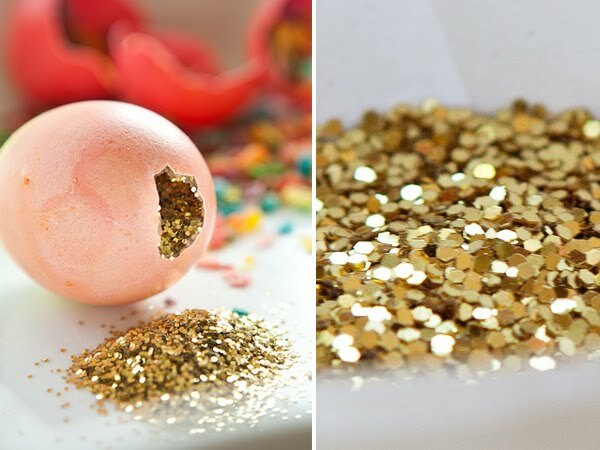 A super fun confetti egg game that the kids will adore! A fun confetti balloon game. These jars are full of treats that look like confetti. Perfect for filling favor bags for your guest to bring home with them. And the favor bags! You could make cute versions of these yourself.